Any package may be altered to meet your desires. Please allow 24 hours to arrange your spa package. Begin your visit with an Organic Deep Relaxation Full Body Salt Glow followed by Image Skin Cares Amazing Stem Cell Facial and finishing with the Ultimate OPI Mani/Pedi Combo. This package is perfect for the Beauty Conscious Person and will leave you feeling Refreshed, Renewed and Looking Great. Perfect to bring out the Romance in both of you! This Package is sure to Win your Heart! Begin your visit with a 50 min. Relaxing Swedish Massage followed by a Blissful Harmony Aromatherapy Salt Glow finishing with a 50 min. Deluxe Rejuvenating Facial. A Perfect Collection Of Body Favorites! Begin your visit with a 50 min. 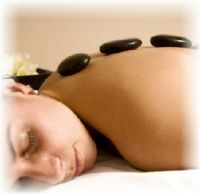 Relaxing Swedish Massage followed by a Deep Relaxation Full Body Salt Glow and finishing with a 25 min. Stress Free Lavender Chamomile Hydro-Bath. Excellent Choice for a quick getaway! Revive and Refresh your skin with an Invigorating Full Body Salt Glow. Melt Away Tension and Anxiety in our 25 min. Luxurious Mineral Hydro-Bath. Relax and De-stress your Muscles with a 50 min. Full Body Swedish Massage. Vitalize and Renew your Face with a 56 min. Relaxing Custom Facial to include a paraffin dip and eyebrow shaping. Begin your visit with a 50 min. Relaxing Swedish Massage followed by a Full Body Cellular Detox Salt Scrub finishing with a 25 min. Detoxifying Magnesium Hydro-Bath. Great package for a renewed you! Begin your visit with a 50 min. Deep Tissue Massage followed by a Full Body Cellular Detox Salt Scrub continuing with a Moor-Mudd Full Body Wrap finishing with a 25 min. Detoxifying Magnesium Hydro-Bath. A Perfect package for complete rejuvenation! Warm up with a 30 min. Hot Stone Massage followed by a 50 min. Deep Tissue Sports Massage finishing with a 25 min. Therapeutic Magnesium Hydro-Bath. The perfect excuse to skip the gym!